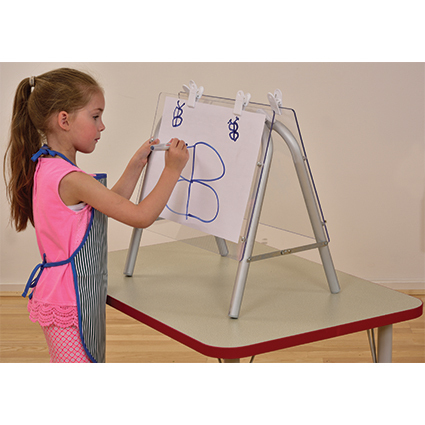 The lightweight double sided aluminium desktop easel is supplied complete with two fixed clear Perspex easel boards. Children can paint directly onto clear acrylic surface or attach paper with clips. Supplied with 4 paper clips (for use with up to A3 size paper).